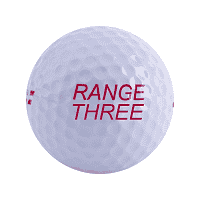 We have a high reputation to uphold when it comes to range balls, offering a ball to match any type of driving-range. Imprinting is free for quantities starting at 500 dozen. Imprinting floaters is free at 300 dozen. One-piece driving range ball. Extremely durable. The most popular driving range ball in Europe with excellent results on the Trackman. High quality driving range ball. Consisting of 3 layers.